Character meals are a wonderful experience at the Disney parks. 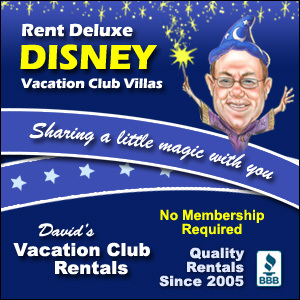 For many families, they are a must-do on every trip. 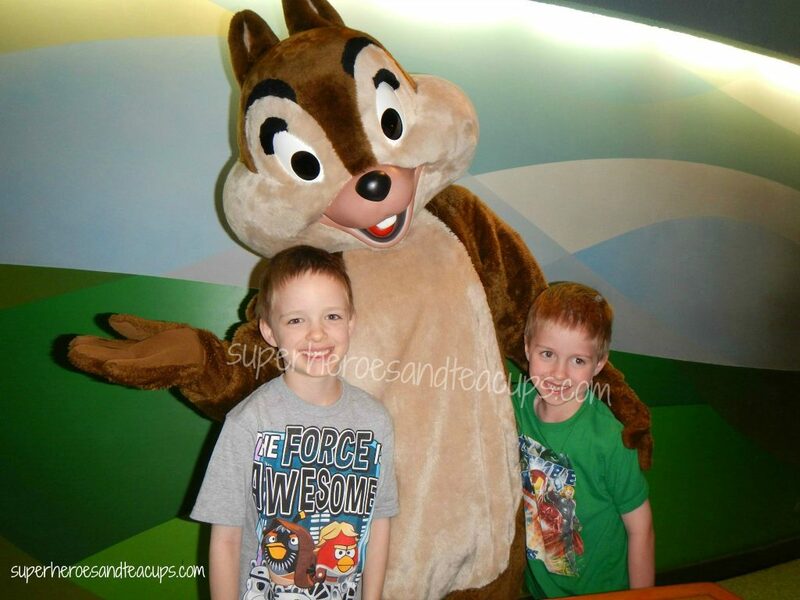 When we took the boys to Walt Disney World for the first time in 2013, we decided that we would do two character meals. Our dinner at the Garden Grill in Epcot was by far our favorite! Our first meal was breakfast at Chef Mickey’s at the Contemporary Resort and we loved it, but it was really overwhelming. You see, character meals at the Disney parks can be very chaotic by nature. If you take a busy restaurant, add in Disney characters and excited children, you get lots and lots of craziness. It’s a fun experience for sure, but it can take a little getting used to. 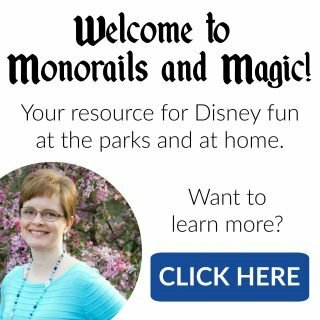 Our second meal was dinner at the Garden Grill at Epcot and it was a totally different experience! The Garden Grill is a table-service restaurant inside the Land Pavilion on the upper level. The entire restaurant rotates very slowly, allowing guests to view scenes from the Living With the Land attraction down below. It features Mickey (dressed as a farmer), Pluto, Chip, and Dale. Dinner is a family style meal called Chip ‘n Dale’s Harvest Feast. It is a lot of delicious food and they will bring you more of whatever you want. Beginning on November 8, 2015, Garden Grill will start serving breakfast and lunch too! What makes this character meal so different is the laid back atmosphere. The restaurant doesn’t seat as many people as some of the other restaurants, so it’s not as crowded. The layout of the restaurant also allows the characters to easily walk around without attendants helping them. 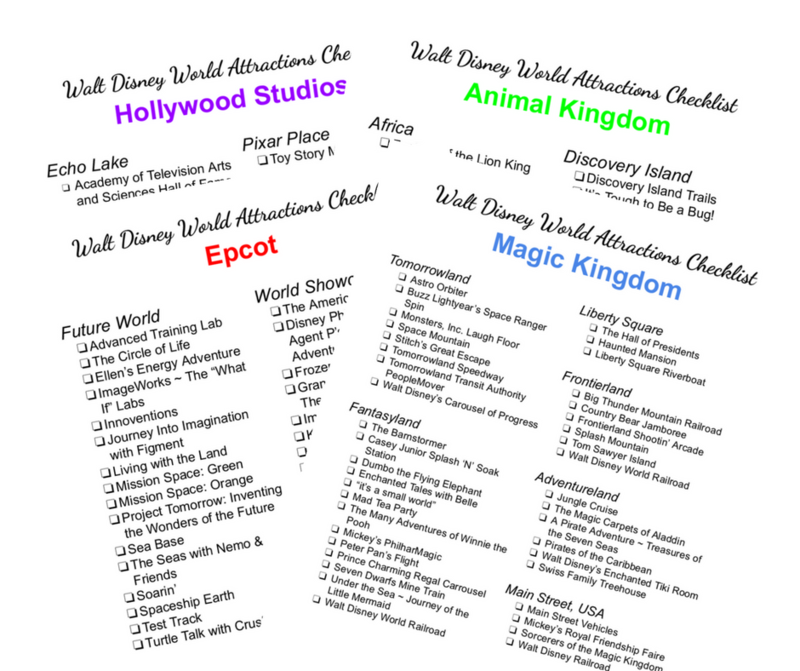 That gives them more time to interact with guests. This photo was taken after a lengthy “discussion” with Chip about birds that are angry. And the very best part…We didn’t feel rushed to finish our meal and make room for the next set of guests. The characters actually made it around to us twice!!! 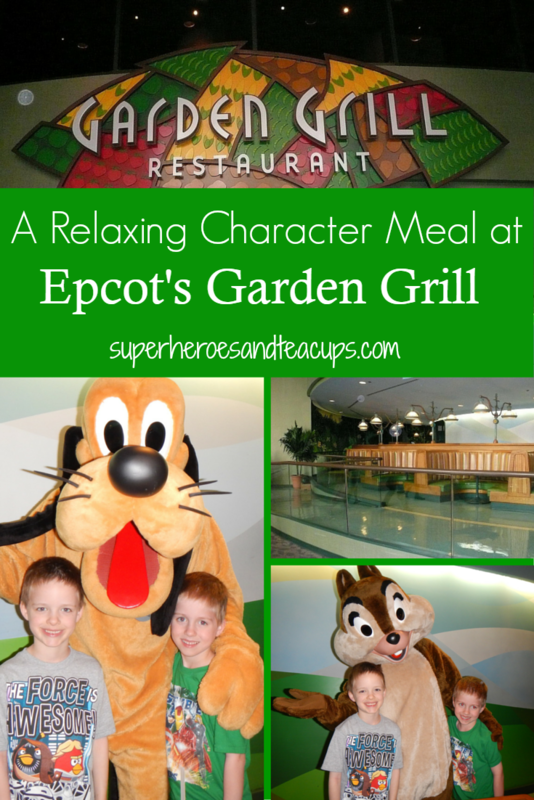 If you haven’t tried a character meal at the Garden Grill in Epcot, my whole family highly recommends it! we are eating at the Garden Grill when we go in April. I loved this character meal! It was understated, fun and the food was very good. My husband and I went solo to this one, and we enjoyed every moment. The characters were fun and there was no pushing to see them. It’s definitely one we’re going to do again! Maybe breakfast next time. We have yet to eat there. The menu is holding us back at the moment but with the addition of breakfast this is easily going to be on our to-do list next trip. I love the idea of a relaxing character meal. 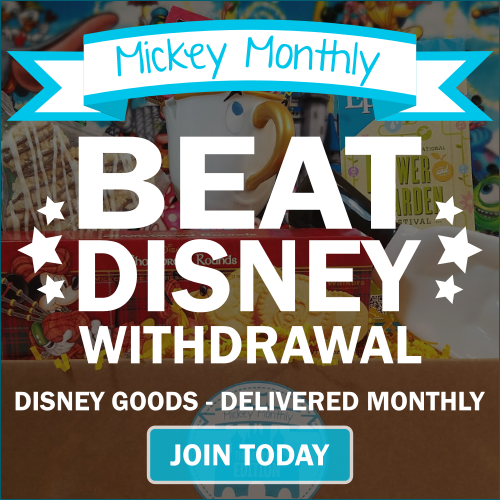 I am with you – Chef Mickey’s is crazy! We weren’t sure about the menu either, but even my picky eaters loved it. I’m glad that you liked Garden Grille. It makes me want to try it now. I have always been intrigued by it as we go through the Living with the land ride when they say they use some of the food grown there in the restaurant. We usually never pay much for our meals, but a breakfast is more reasonable. I’m hoping the breakfast will be a little more reasonably priced too! We like the Garden Grill, too. We’ve only eaten there once, but we loved the laid-back nature, and the characters came by two or three times. We were there until almost closing and had the characters there all to ourselves by the time we left. A late sitting would be fun at a character meal. I never thought of that! Garden Grill is my favorite at Epcot! The characters are so fun, and I love that the restaurant rotates! Unfortunately we had a booth up on the second level and couldn’t see much. I think I will request a lower level table next time and cross my fingers. I love the Garden Grill — it’s absolutely hands down one of our favorites at Walt Disney World! I love the way Mickey is decked out in his farmer garb, and we love Chip & Dale and Pluto too, so it’s an all around good time for us. I also really enjoy how the restaurant revolves around the Living with the Land scenes! Great post! I’m glad you love it too! It definitely doesn’t get the respect it deserves. We’re really looking forward to trying a different meal there some day! We dined here several years ago and, while we liked it, our time was overshadowed by the fact that our stroller and my camera bag and equipment had been stolen a few hours earlier, so our minds were somewhere else. I’d like to go back sometime and do a re-do because I’m sure we’d enjoy it more under different circumstances. The food was good and the character interaction really was fabulous. I think each character stopped by our table at least 3 times! Oh my goodness, that’s awful. I don’t think I would be able to enjoy myself either. You definitely deserve a do-over!